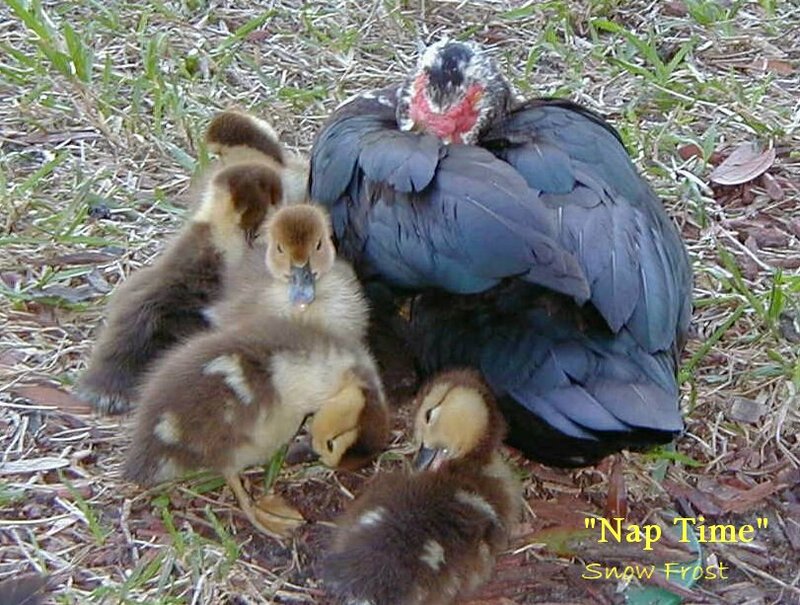 "Midnight", is the name of this precious mother Muscovy duck...she has quite a handful with 17 baby ducklings. It's hard to get a nap with so many ducklings cheaping away constantly. "Midnight" got her name, because she came by for a snack usually about midnight...when she snuck away from her nest to get some food. She knew I'd be there for her...but feeding 17 hungry ducklings got to be quite a handful for me...but worth every moment.